See you later alligator...The hearse is here! Here is a most fabulous update to the classic alligator polo shirt. This is a classic pique sport shirt with a modern edge. Fitted, with a great shape-retaining stretch fabric with a soft feel. Crisp flat knit collar and cuffs add to the modern styling. 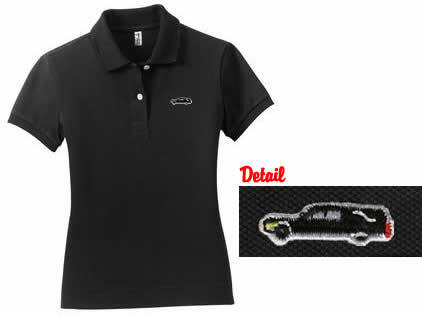 Features a little black hearse on left breast and a classic 2 button placket. Designed to be worn tucked or untucked. Made from 5.9-ounce, 94/6 cotton/spandex pique. RUNS VERY SMALL!!! ABSOLUTELY ORDER A SIZE UP! See you later alligator...The skull polo is here!